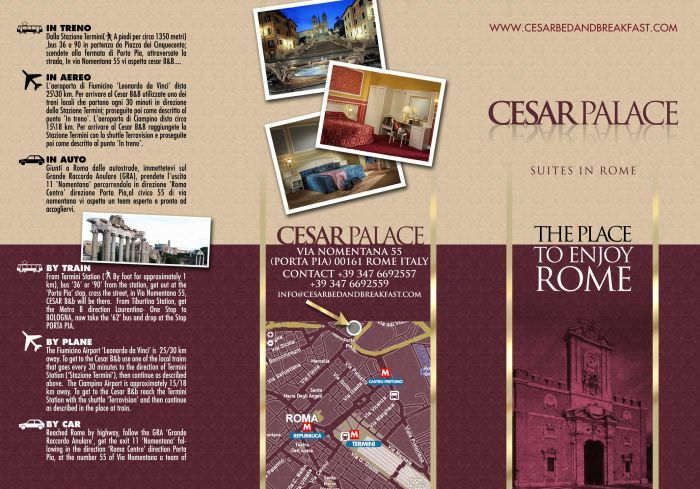 The Cesar b&b is located in the historical centre of Rome. Close to the Porta Pia monument, one of the last great architectural works of Michelangelo, theatre of the famous ‘Breccia di Porta Pia’, in the 20th of September 1870. 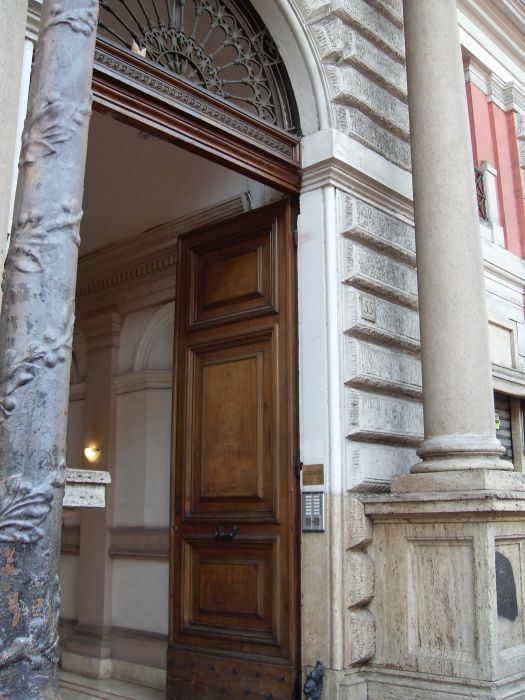 A few steps from the famous Via Veneto and Villa Borghese. Its central location allows visits of the major sights of the city, both by foot or with public transportations. 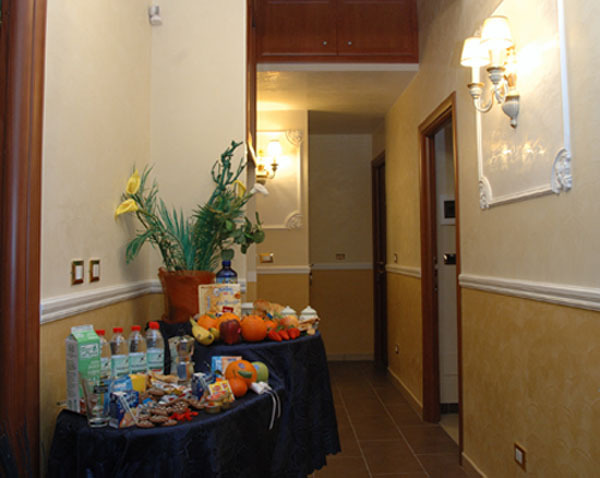 Cesar B&B is a completely new and environmentally-friendly structure, with all the comforts needed for a special stay in Rome. The Bed & Breakfast Cesar completely new, it has single and double rooms, equipped with a WI-FI, all with bathrooms inside the room, equipped with linen and towels, dispensers for soap and hair dryer, very spacious and furnished in a simple and elegant, comfortable and vital atmosphere. The rooms are quiet thanks to the double windows. The rooms also offer many other services: TV 'Air conditioning, safe, daily cleaning which will guarantee an enjoyable stay at our place. Daily assistance by our team of experts will be provided upon your arrival. A few steps from the famous Via Veneto and Villa Borghese. Its central location allows visits of the major sights of the city, both by foot or with public transportations. PRIVATE BATHROOM INSIDE THE ROOM, WIFI, TV, WINDOW, BREAKFAST INCLUDED SERVED IN THE ROOM, HAYR DRIER, TABLE WITH CHAIR, SAFE, INDIPENDENT AIR CONDITIONING. We are located in a main shopping district at 5min. 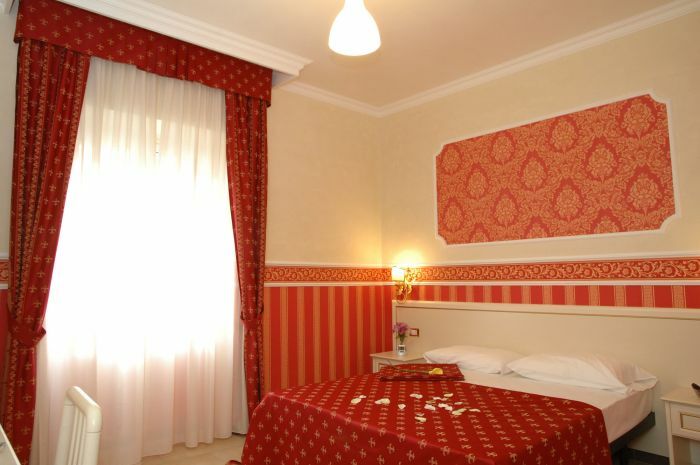 walk from Piazza Fiume where there is a vivid nocturnal life. Shops include Banks, movie theater, two supermarkets and a variety of different shops. We are 10 minutes walk from both the Ashkenazi and Sefardi sinagogues. There is no cancellation charge if you cancel at least 72 hours before 12.00 on the arrival day. For all cancellations received after such time a 1 night late cancellation charge will be debited to your credit card. 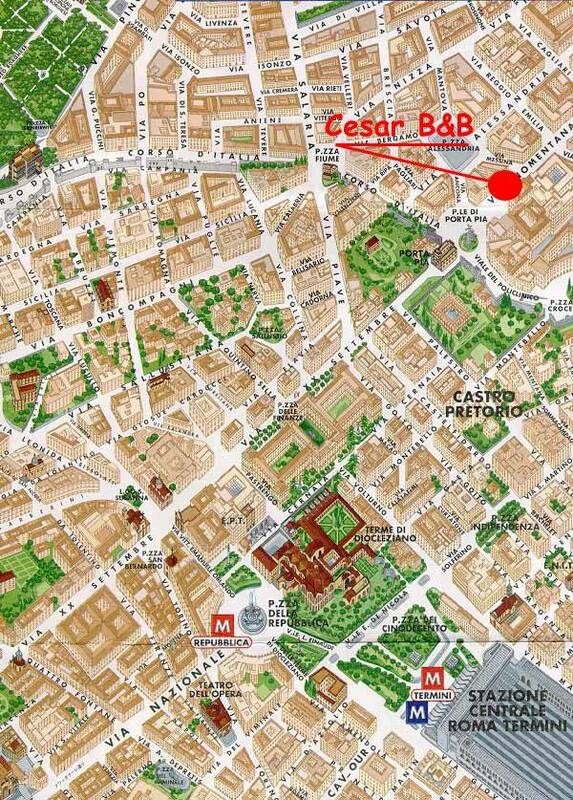 We are in Via Nomentana 55, approximately 60meters from the 60, 90, 36 bus stop of PORTA PIA. To reach us from Ciampino take the TERRAVISION or any other bus to Termini Station and from there take the bus 90 only one stop is PORTA PIA. From fiumicino take either a bus to termini for ten euros or private cars cost 40 euros for 1-5 people.